2nd Thursday at 7:30 PM and 4th Thursday at 7:00 P.M. 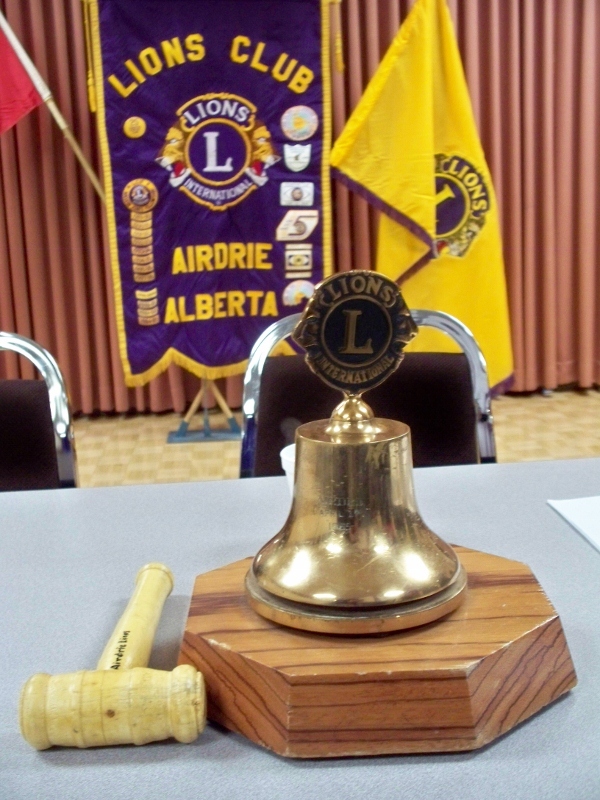 The Airdrie Lions Club raises funds for chairitable foundations, local families in need, and to support local associations. We are interested in finding new members who are interested in helping in their community and reaping some of the benefits of doing so. Take an active interest and be a leader in your community. Promote the strong, healthy growth of your City. Become informed about the history, traditions and accomplishments of the club and association. Reach out the hand of Friendship; show tolerance of those who differ in opinion and custom. Share the work to make a success of all club programs. Enter enthusiastically into the social life of the club; friends make better partners. Contribute to the operation of the club and the association - Entrance fees, International dues, club and other dues. (this amount varies but is usually less than a cup of coffee per week.). Take great pride in helping make a positive difference in the lives of people less fortunate.